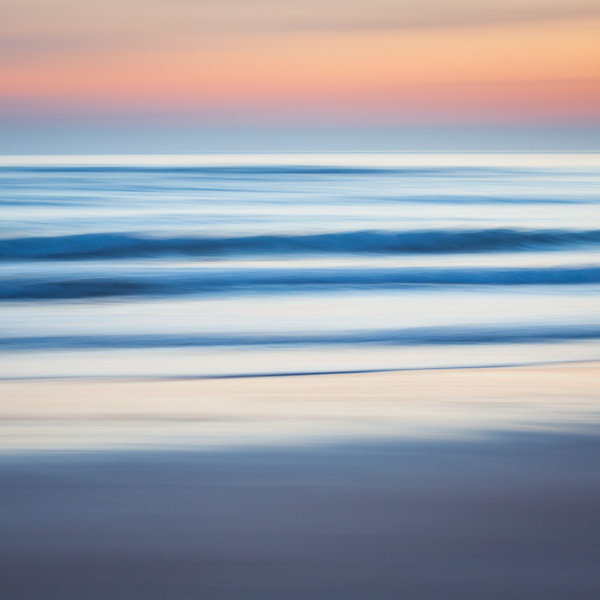 I was attracted by the cold morning light on the water and beach contrasting with the warm pastel hues of the approaching dawn. By carefully timing the incoming waves and using a panning motion while exposing the image, I hoped to achieve a calm painterely mood. Photo © copyright by Graham Chalmers.